As a Microsoft Word user, you likely know of and use many of its wonderful features. However, this vibrant application has many tools and options that often go underused. Here are seven of those common features, how to use them, and how to make them work for you. Creating tables for data from scratch can take a lot of time. Luckily, Word offers a set of options called Quick Tables. These handy tools can be popped right into your document, are already formatted with styles, and can be edited or customized even further. Select the Insert tab and click the arrow below the Table button. Move down to Quick Tables and the slide-out menu will display several convenient options. You can choose from four different calendar tables, a matrix, a tabular list, and two tables for data. Once you choose the Quick Table you would like to use, you can simply enter the data you need and be on your way. However, you have options to customize these tables just like any other table added to Word 8 Tips to Format the Perfect Table in Microsoft Word 8 Tips to Format the Perfect Table in Microsoft Word Microsoft Word tables are essential formatting tools. Find out how to make a table and format it perfectly with these simple tips. Read More . Change the colors, font sizes, or number styles by selecting the area you want to alter and applying your changes. You can also adjust the number of rows or columns, change the alignment or size, and alter cell attributes all in one spot. To do this, select the table, right-click on it, and pick Table Properties from the context menu. For changing the entire look and feel of your document, Word has both Themes and Styles. Themes can be accessed from the Design tab and Styles reside on the Home tab. These two formatting tools work together to create a beautiful, consistent appearance. Themes contain colors, font styles, and effects that are applied to your document. When on the Design tab, select the arrow below the Themes button to view your options. You will see a nice selection with a tiny preview, so you can pick the one you want easily. If you would like to adjust them slightly or completely, those options are available on the same tab, to the right, using the Colors and Fonts buttons. 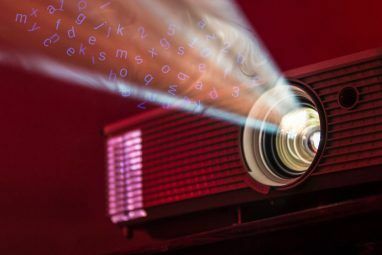 Styles can be used alone to make your titles, subtitles, headings, and paragraphs consistent. But, these are also used in conjunction with Themes to apply the appearance you have selected. For instance, once you pick a Theme such as Circuit, the elements of your document must be tagged for the style to apply. Select your title and from Styles click the Title style. Then, select your headings and do the same. You will instantly see the Theme you chose once the Styles are applied. When you have your document elements tagged for titles, headings, and text, you can check out different Themes if you like. Head back to the Design tab, open the Theme options, and as you move your mouse over each one, you will see your document change. This makes it super easy to pick another Theme if you like. Maybe you would like to spruce up your document, but do not want to go all in with a theme or style. Word offers some wonderful options for fonts that really make your text stand out. Plus, you have customization options that let you make them your own style. Font selections are easily accessible from your Home tab. You can apply quick styles like highlighting and italics as well as change the font type and size. 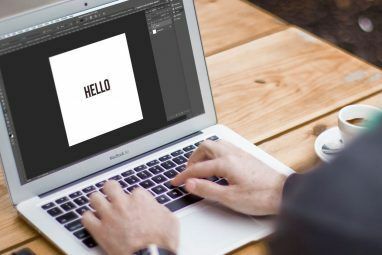 But, there is so much more you can do with fonts How to Style Fonts in Microsoft Word to Make Your Text Stand Out How to Style Fonts in Microsoft Word to Make Your Text Stand Out A well formatted text can grab your reader's attention and help them flow through your document. We show you how to add that final touch in Microsoft Word. Read More . You can apply shadows, reflections, and glowing text for a wonderful look. Select the arrow for the Text Effects and Typography from the Font menu to view your options. You can pick one that you like or customize the appearance even further by clicking Shadow Options, Reflection Options, or Glow Options from the slide-out menu. Your sidebar will pop open and allow you to adjust each of these font styles as well as soft edges and 3D effects. And, keep in mind that you do not have to choose an effect to see how it looks. Simply select the text in your document and as you move your mouse over the different options you can see what it will look like. This is great for checking out various looks for just the right one. You can also use or adjust ligatures, number styles, and stylistic sets from the same menu. One of the best references available in Word for lengthy documents is the Table of Contents. With the many templates available The 10 Best Table of Contents Templates for Microsoft Word The 10 Best Table of Contents Templates for Microsoft Word Download these professional Microsoft Word table of contents templates and give your documents a professional look. Read More , you can give your document a great look. However, if you just need a simple table, Word has you covered with built-in options. The key with the Table of Contents is that your document elements must be tagged just like with Themes. Click the References tab and then the arrow below the Table of Contents button. You will then see the Table of Contents choices, which include both manual and automatic options. The automatic tables make creating your document much easier as long as you have your elements tagged correctly. While it may sound difficult or time-consuming, it really is not. If you have applied a Theme to your document, your elements are already tagged with the correct Styles. So, once you add an automatic Table of Contents, it will be immediately created and formatted for you. If you have not applied a Theme to your document, you will just need to tag your elements using Styles. Simply select the title, heading, or subheading and apply the Style on the Home tab. When you go back to your Table of Contents, select it and click Update Table. You have options to only update page numbers which is handy if you are moving elements around. Or, you can choose to update the entire table. You will then see your titles and heading pop into the table with the applicable page numbers. To quickly format parts of your document just like other sections, use the Format Painter on the Home tab. Just select the formatting you want to carry over, click Format Painter, and then apply it to the area you want. If you need to apply the formatting to several sections, double-click the Format Painter button, and continue applying to multiple areas. When you are finished, click the Format Painter button once more to deactivate it. The Find and Replace tool within Word comes in quite handy if you have made an error in several places or would simply like to change a word or phrase throughout your document. From the Home tab, select the arrow next to the Find button, and then pick Advanced Find. When the window opens, click the Replace tab. Then enter what you want to find in your document and what you want to replace it with. For example, say you discovered that your client’s name is spelled wrong throughout the document. Enter the misspelling and the correct one beneath it. You can then hit the Replace All button to have all errors corrected automatically. If you are in high school or college, then you are likely swamped with homework and essays. You also know that spending time on writing the paper should be your main focus, not the bibliography at the end Creating Bibliographies & Footnote Citations Is Easier With Bookends for Mac Creating Bibliographies & Footnote Citations Is Easier With Bookends for Mac Bookends for Mac practically performs the research and citation formatting tasks for you. Read More . That is why the convenient Bibliography feature in Word is so useful. First, select the References tab and then click the arrow next to the Bibliography button. You can then choose the title of this table from the drop-down menu. If you are required to format your paper using APA, MLA, or another style How to Add Chicago Style Footnotes in Microsoft Word How to Add Chicago Style Footnotes in Microsoft Word Footnotes can help you complement text with additional details. Adding footnotes in Microsoft and using styles like Turabian, MLA, APA, or Chicago, is very easy. We show you what you need to know about footnotes. Read More , there is a convenient drop-down box to make your choice for this as well. Once you have chosen your table style, you can add all of your sources easily. Select Manage Sources from the Bibliography menu and then click New. Pick the source type, such as book or journal article, then enter the details in the section below it. Adding your sources at one time not only allows the table to be populated, but also lets you insert citations directly into your document if needed by clicking the Insert Citation button in the menu. Once selected, you will see a list of your sources and just click to add the one needed. Which Other Word Features Are Underused? 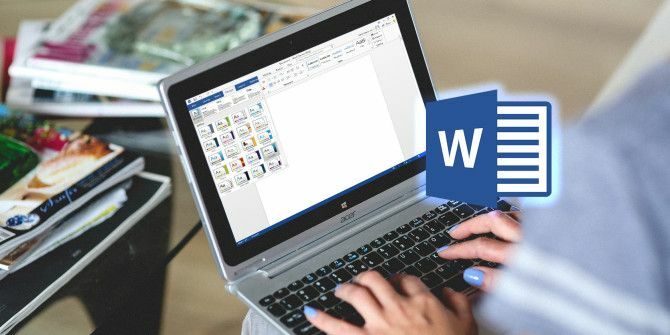 Do you know of additional Microsoft Word features 10 Hidden Features of Microsoft Word That Will Make Your Life Easier 10 Hidden Features of Microsoft Word That Will Make Your Life Easier Microsoft Word is deceptively simple. You are fine as long as you fire up a document and just type. But Microsoft Word wouldn't be the Swiss knife it is without its productive features. Read More that are not commonly used but should be? Maybe you are always helping coworkers with a certain tool or showing friends how to use a handy feature. If so, please share your thoughts in the comments below! Explore more about: Fonts, Microsoft Office Tips, Microsoft Word. I would like to know more about adding graphics to word letters and fun graphics to envelopes.. I really have a hard time with this. I would like to be able to create pretty graphics on the envelopes. Using styles is key for good document structure and to manage it. This is not emphasized enough. Font gimmicks should be avoided, I agree. Working with pictures : good: crop tool and size reduction ; user unfriendly : position and layout of multiple picts is a pain, no way I know of to set same attributes to multiple picts. Grrr. Nothing says unprofessional more than Word's font effects. 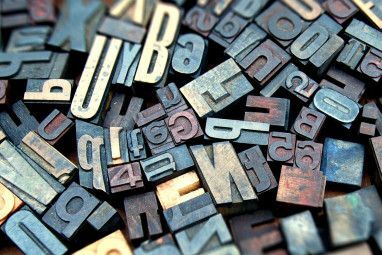 Whether its a school project, a thesis or a business document, font effects are the first port of call of the chronic underperformer. Stay away from them. As a teacher and an employer, I agree. Don't try to liven things up with such gimmickry. I completely agree when it comes to serious projects, documents, and papers. But, for signs, announcements, brochures, and the like, those fonts can be effective. Plus, not everyone's business is the same, there are many that likely can find them appealing...entertainment, gaming, etc. If you use Word to design brochures and such like then you are asking for a whole world of hurt. Rather invest in a low cost (e.g. Serif PagePlus) or free (e.g. Scribus) DTP package and use Word to generate the text. What Word does to page layout is just short of criminal.